Want to fix it yourself? There’s a tool for that. Change your oil? There’s a store for that. 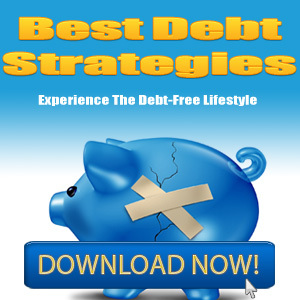 How about repairing your credit card debt? Yep, you guessed it, there’s a tool for that. Several in fact. Debtors can feel good and empowered about getting the information they need without having to call in the big guns. But, if you want to call in the big guns you can do that too. Here are 5 steps you can take to put yourself ahead of the game when it comes to your credit card debt. Some of these steps seem simple, but are often overlooked. Don’t skip them, you need to see the big picture to repair the little details. If you want to get ahead of the ever growing mountain of debt, then buckle down and follow each step diligently. 1. Step number one. Write down on a piece of paper or spreadsheet ALL the money you owe. This includes your monthly expenses like coffees at Starbucks or Sunday newspapers, as well as your credit card balances. Some may even find it helpful to jot down what they spend each day in a small notebook. Total everything at the end of the month. Seeing spending in black and white can be true revelation. 2. 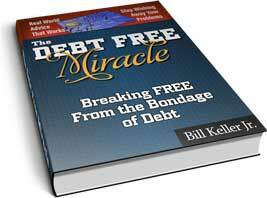 Funnel any frivolous spending towards paying down your debt instead of wasting it. Do you really need that extra, extra, extra, triple shot, vanilla chai soy latte every day? No, didn’t think so. Most experts agree that you should pay down the smallest balance first, then take that money and snowball it into your next smallest balance, and so on and so forth. Personally, I think this is the best way to pay down balances. If I see my debt paid from extra funds in a few months, do you think I’m going to be motivated? You bet. 3. Call your creditors and request a lower interest rate. Now, this sometimes does not work if you have been late on payments in the past. Most companies however want to get paid, so they will issue a temporary (sometimes permanent) lower interest rate on your account. You may also consider transferring a balance from a higher rate card to a lower rate card. Be careful though, juggling balances and interest rates can sometimes have a negative effect on your credit score overall. 4. If you find you’re still having difficulty contacting your creditors directly to negotiate, then you will want to look into a debt consolidation loan. This can work in your favor and help boost how quickly you pay down your debt. Most banks and credit unions offer a personal or credit loan that have lower interest rates than the credit card companies offer. You can pay off all your balances with one loan and avoid all the interest and fees headache you get with credit cards. 5. As a last resort, you may be able to negotiate a settlement on your account with the creditor. They will offer an amount they feel is reasonable to settle and close your account. There is no guarantee that your creditors will do this for you, but if you are lucky enough to have an understanding creditor, you can negotiate an amount that is quite a bit lower than the amount you currently owe on your account. You can also hire a debt negotiation company on your behalf to do the dirty work for you. Repairing credit card debt by yourself is absolutely doable, just make sure you are prepared and know what the big picture before diving into a method. Follow through and you should be debt free and on the road to financial freedom in no time falt!